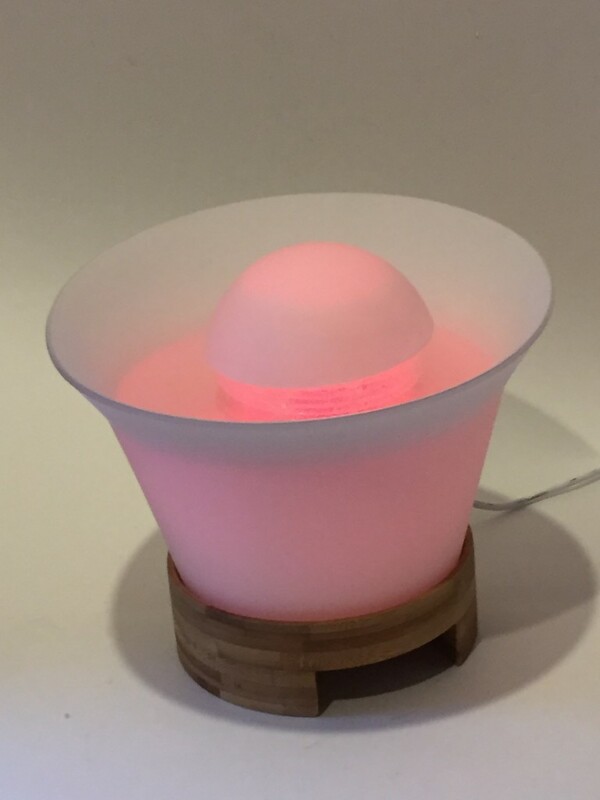 Take pampering to new heights with our premier mist diffuser! Add your favorite essential oil and you’ll be transported to a spa, in any room. This heavenly aroma mister will fill the air with or without scent for up to 8 continuous hours. Plus, add additional ambiance with a revolving rainbow of lights. Bamboo base with an elegant hand-blown glass cover. Multi-coloured LED light. 200-300 sq. ft. coverage.